nextSTL has learned the highly anticipated second phase of redevelopment at Union Station will feature a $70 million amusement park along with varying retail outlets. According to documents obtained by nextSTL, Union Station owner Lodging Hospitality Management (LHM) is requesting $18.5 million in TIF money to assist the project. LHM believes the amusement park could draw approximately one million visitors annually. 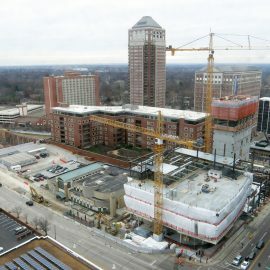 The second phase of the $120 million Union Station redevelopment is expected to create 350 new full and part-time jobs. The amusement park will cover 26 acres and include a Ferris wheel and other rides, restaurants, and live entertainment. The project is being financed by Enterprise Bank and Trust. Paric Corp. is the general contractor and Lawrence Group is architect. The $50 million phase one included renovation of the historic Grand Hall, which also serves as the lobby for the St. Louis Union Station Hotel. The Grand Hall, with its sweeping archway, fresco and gold leaf detailing, mosaics and art glass windows, stands 65 feet at its tallest point. The second phase will also include historic rehabilitation. LHM intends to renovate the 11.5-acre train depot shed. Noted engineer George H. Pegram designed the enormous single-span train shed. It was not only one of the largest train sheds ever built, but it also covered the greatest number of tracks at the time it was constructed. Earlier this year, LHM announced an excursion train billed as the Polar Express, based on the popular children’s book, would depart Union Station. The train rides begin November 22. The idea has proved to be popular. Last month, half a dozen additional dates were added to the calendar. 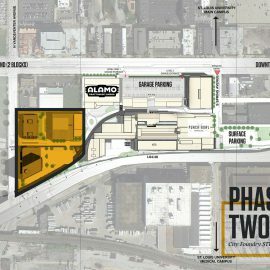 According to the documents, LHM expects the second phase of the development will allow the City to maximize the potential of productive properties in this portion of downtown. 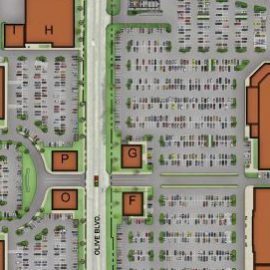 LHM claims parking and infrastructure improvements will augment properties close by including the U.S. Post Office, Scottrade Center, and Peabody Opera House. In October 2012, LHM purchased the nearly vacant property for $20 million. 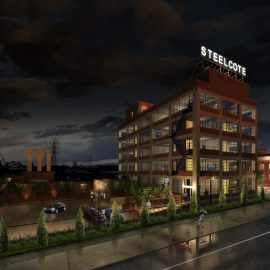 The company also intends to utilize federal historic preservation and Missouri historic tax credits along with Brownfield tax credits on the second phase of the project. More than $28 million in subsidies total to revamp the National Historic Landmark downtown anchor. An attempt to reach LHM for comment was unsuccessful. 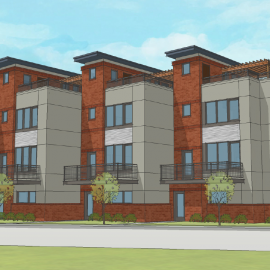 The next scheduled St. Louis Board of Alderman meeting regarding this project is on January 7, 2015 at 8am. 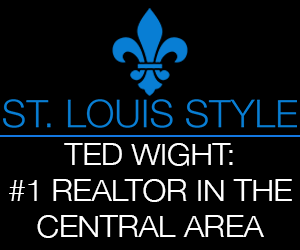 nextSTL will update as new information becomes available.